We all know and have probably loved a cat or two, but have you stopped to think of the cats on the streets lately? News items about the growing population of feral cats are becoming more and more frequent. This is being seen from rural Pennsylvania and the busy streets of New York City all the way to Australia. Either posing a threat to other wildlife or causing political controversy, these feral cats are becoming the norm. Some live short, dangerous lives in deplorable conditions. Others are welcomed as working cats around factories and farms. Because of the perceived dangers to humans, other species, and the cats themselves, and out of compassion for the animals, many people campaign to encourage people to spay and neuter their pets and support the humane control of feral cats. The great debate of what to do with them shouldn’t be approached without first knowing them. 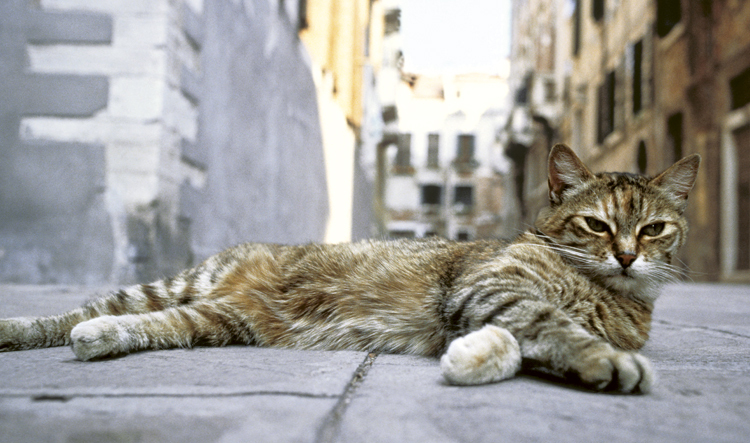 Feral cats are free-roaming cats that have never lived with humans. They are the descendants of domesticated cats that were abandoned by their owners or that strayed into wild areas from their homes. When these cats mate, their offspring never associate with humans; therefore making the kittens feral. Adult feral cats that were never raised with humans can rarely be socialized, but feral kittens can. The ideal time for capture is between six and eight weeks old. Taming at this age may only take a few days. While older kittens can be tamed, it takes longer. The average life span of a feral cat that survives beyond kittenhood is believed to be less than two years, as compared to a domestic house cat that lives an average of 12 to 16 years. 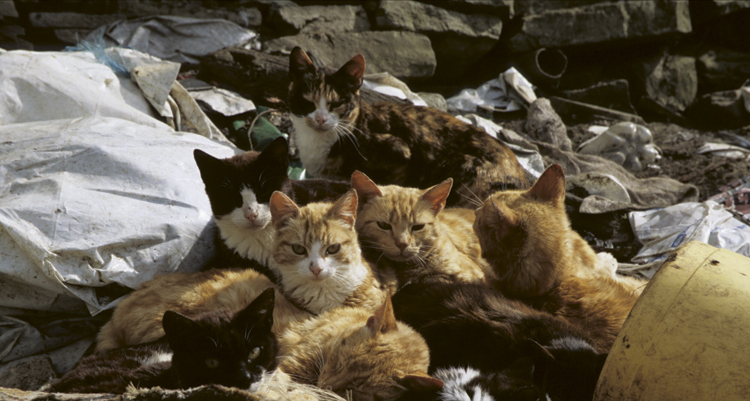 Feral cats are usually found in large groups called colonies. Cats are exceeding adaptable, and ferals have been found in all kinds of conditions. Cats in urban colonies raid garbage containers, scavenge for food or are fed by concerned people. Many feral cats also kill and eat small mammals such as mice, voles and shrews. They may hunt birds and reptiles, and can have a devastating effect on the wildlife population. Feral cat colonies arise from stray or abandoned unneutered cats, so all breeds and types are found in the colonies. The cats breed rapidly; a female can have up to 18 kittens a year. A growing number of animal societies realize that feral cats are wild animals and should not be judged by pet standards. Where the cats perform a useful task, such as controlling rodents, or are not a threat to the local ecology, the approach is to trap, neuter and return them to their own habitat, while removing any ill, injured or tameable felines. This is the approach in New York City and part of the debate happening in Pennsylvania today. The only permanent solution is for owners to spay and neuter all pet cats. For years, the control was to trap the animals and humanely euthanize them. Unfortunately, instead of reducing the numbers it makes room for more to move in, and the breeding starts all over again. Nor can you simply trap cats and take them to a shelter. They are not adoptable, as many carry diseases, and it is next to impossible to socialize them. Today, the effectiveness and ethics of this method is being questioned all across the globe. Feeding feral cats does not help the situation. While it does ease the hunger of the individual, the extra food brings more cats into the area and that leads to fighting, disease transmission and more homeless kittens. Leaving these cats to fend for themselves is not an option either. They face death by starvation, disease, traffic and predators. Experts estimate that 60–70 per cent of kittens die in their first six months. 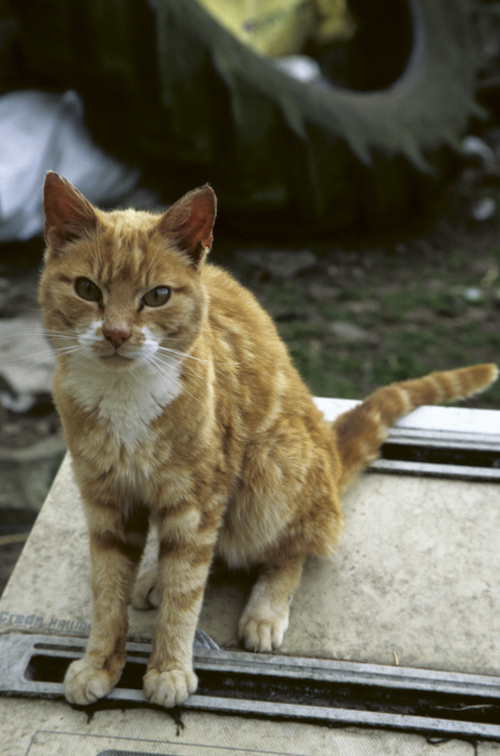 Recent studies published in the Journal of the American Veterinary Medical Association have indicated that trap-neuter-return programmes are not effective in reducing feral cat populations. Arguably, these programmes cannot be effective unless they manage cats on a population, rather than colony, basis. However, as they’ve found in NYC, this still appears to be the most effective way of controlling feral colonies. Of course, you need willing volunteers to make a TNR programme work. First you should find a vet who is experienced with ferals and might even donate their time. Before going out in the field, protect yourself and get up-to-date shots including rabies and tetanus. The next step is to have a careful plan. Ferals learn quickly and adapt when threatened. Sometimes, cats are injured or even killed when trapped incorrectly. To prevent scaring them away, begin by feeding them on a schedule so they learn to recognize you. Same goes with the trap; leave it in their area well in advance so they adjust to the sight of it but do cover it with a towel or blanket. The best time to trap is the night before the planned surgery at the cat’s normal feeding time. To be sure of success, try to bait the cat with tuna or sardines, anything with a strong scent. Leave your traps set for an hour or two at most and never leave them set overnight or all day long. A captured feral cat will be terrified and could seriously injure you in its panic, so always keep your hands and face well away from the trap, and wear protective clothing and gloves. It may take several months for you to trap, neuter and vaccinate all the feral cats in your community. Your reward will be the knowledge that you are giving one group of cats a chance at a new life, as well as doing your part in controlling overpopulation. If TNR seems a bit too dangerous or time consuming, check with your local cat shelter and look into adopting from them. You can help with the control of population by simply neutering and loving your own cat. For more details on how to raise that rescued cat, our guide, Choosing and Looking After Your Cat by Lee Harper (ISBN: 9781783612291) can give you the expert advice you need and help you along your way. Check here to see how the ferals are affecting other wildlife in Australia. Read on here for a more in depth look at TNR in action on the streets of New York City. 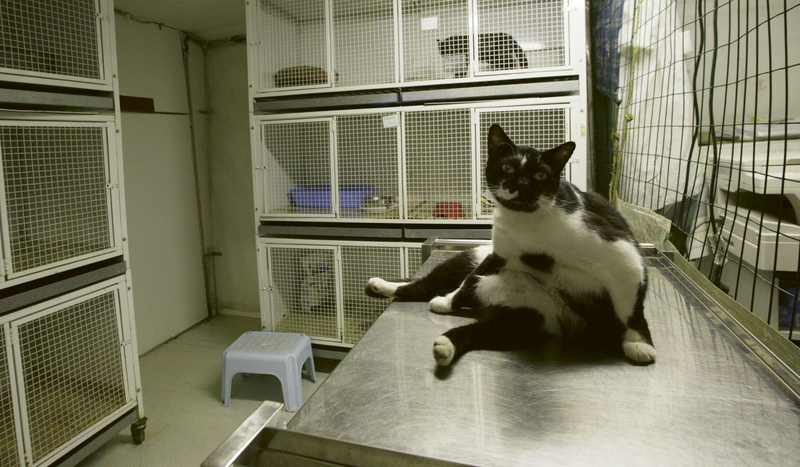 For those curious about the debate surrounding TNR, continue reading here.